There are quite a few boat shows this weekend, but none compare to the 27th Annual Palm Beach International Boat Show down in FLA. More details on this and more can be found on the updated, easier-to-read FirstBoat boat show calendar. The Moscow Boat Show started Tuesday and runs through Sunday (March 25) at Crocus Expo IEC. The Fred Hall San Diego Show at the Del Mar Fairgrounds starts today and goes through Sunday the 18th. The South West International Boat Show, an in-water show near Houston, begins today and runs through Sunday at South Shore Harbour Marina, League City, Texas. 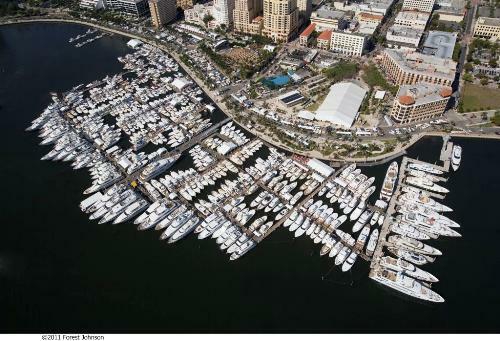 And last but certainly not least, the 27th Annual Palm Beach International Boat Show takes place March 22 through March 25, 2012, along scenic Flagler Drive in West Palm Beach, Florida, featuring hundreds of boats ranging from small inflatables and center consoles to fishing boats and superyachts. The Eastern Ontario Boat, Truck and RV Show at the Kingston Expo Centre in Kingston, Ontario, Canada. The Green Country RV, Boat and Cycle Show at the OK Fairgrounds in Tulsa, Oklahoma. The Moncton Boat Show at the Moncton Coliseum, Moncton, NB, Canada. Lastly, there's the 25th annual Sunnyland Antique Boat Festival at Wooton Park on Lake Dora in Tavares, Florida, which claims to be the largest antique boat festival in the world. 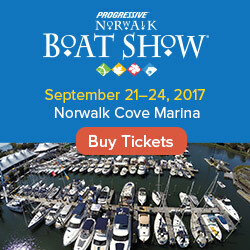 As always, dates, times and links to all these shows and more can be found on the First Boat boat show calendar. 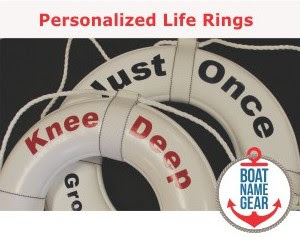 If we didn't mention a boat show this weekend, please comment on the Daily Boater Facebook page or here as a comment on DailyBoater.com. Thanks, and see you at the next show!